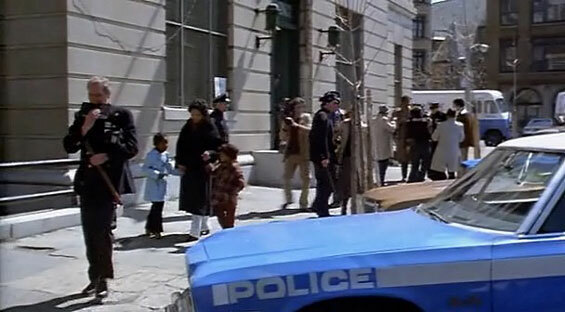 At the 41st Police Precinct in the South Bronx 18-year veteran Murphy (Paul Newman) is pretty much on auto pilot, looking to be a good cop, but also determined to do it with as little aggravation as possible by combining good police work with a social conscience. 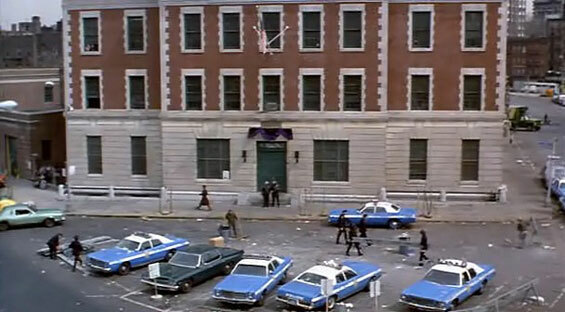 When new Police Chief Connolly (Ed Asner) come in and intends to get the cop killer who has been shooting police man, the neighborhood begins to rebel with rioting against the police force and Fort Apache, the nickname for the 41st Precinct because of its salvation role it plays in the borough. 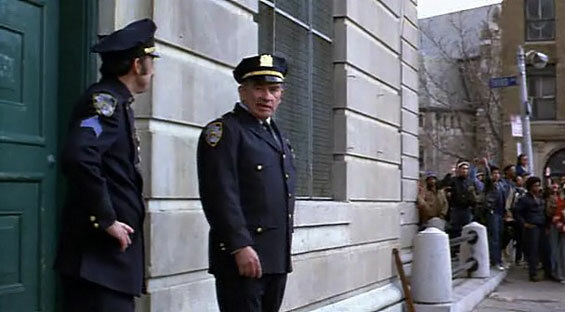 Connely mandates arrests to be made regardless of infractions in order to find the killer responsible for the police murders, but when Murphy sees fellow officer Morgan (Danny Aiello) murder an innocent man, he must address his conscience to decide to confront his fellow cop. 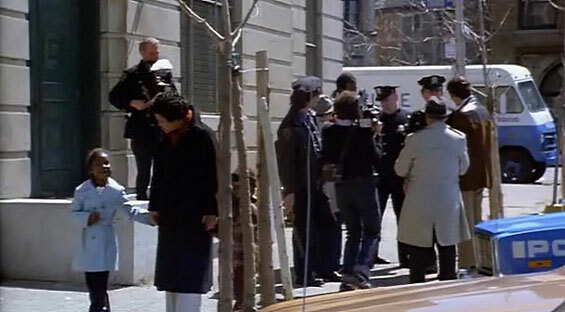 Given that his girl/pal Dominican nurse Isabella (Rachel Ticotin) is shooting drugs only adds to the internal conflict Murphy goes through having to balance his sense of right with community solidarity. 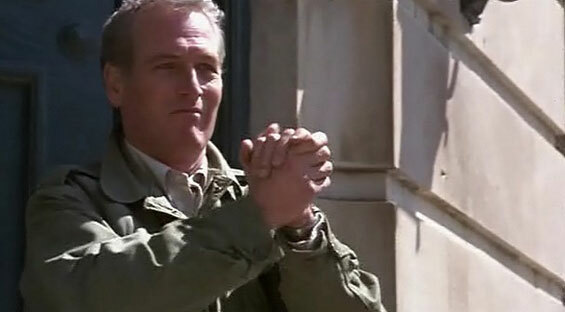 After a shoot out in the hospital where many casualties touch him personally, Murphy decides what's best for the community and his conscience. 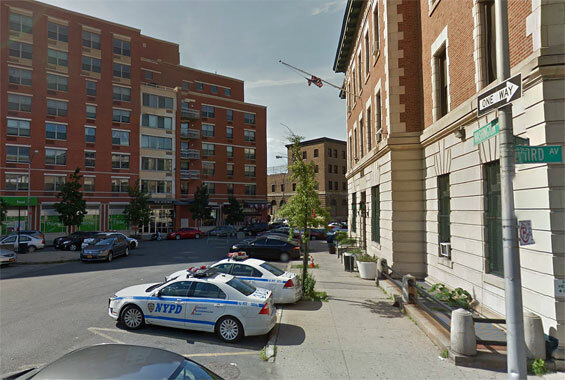 otsoNY Comments: The name of the division that the police worked out of was New York's 41st Precinct in the South Bronx. 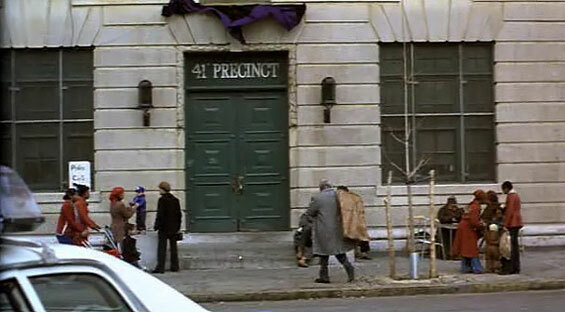 The name of it's police station headquarters was Precinct Station House 41. 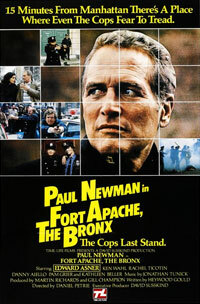 It is stated in the film's storyline to be not a precinct house but rather a fort in hostile territory, hence the nickname "Fort Apache" of the film's title, an allusion and reference to the famous Fort Apache of the old American West, itself previously the title of a famous John Wayne movie. 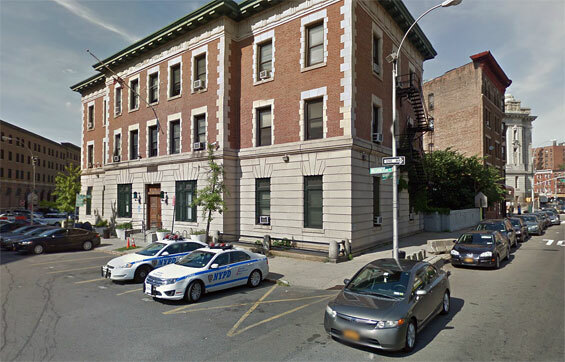 Police Station, 830 Washington Avenue and 3rd Avenue, Bronx. 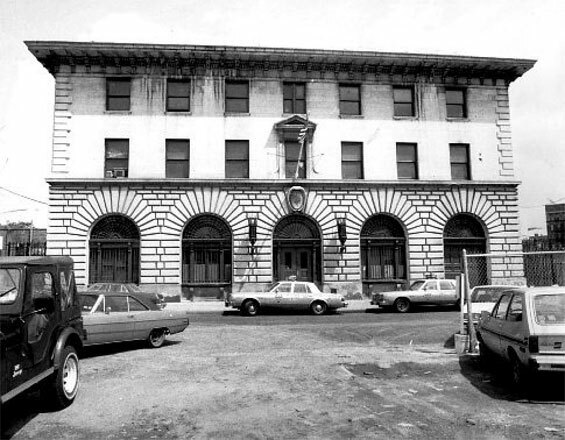 otsoNY Comments: Here is the official 41st Precinct police station in the days when it was known as 'Fort Apache' for its location in one of the Bronx's most dangerous neighbourhoods.